For many Australians, a road trip through the dramatic heartland of America is on the bucket list. Like Australia, America is a nation of contrasts and ever-changing climates. For all the differences between driving in the two countries, there are also many similarities. VroomVroomVroom has put together a quick guide to driving in the US. Similar to Australia, the US is a big country. A journey from Sydney to Perth by road adds up to nearly 4000 kilometres, and likewise a trip from Los Angeles to New York will take you on a journey of almost 4500 kilometres. As you would if you were planning a week-long road trip across the outback, it is a good idea to allow a lot of time and plenty of rest stops if you are travelling interstate. Mostly you will find driving in the USA is similar to driving in Australia. Many of the same laws exist in the States as are enforced in Australia. For example you cannot use your mobile phone while driving, you must always wear a seat belt and there are limits on the amount of alcohol you can consume before driving. However, one major difference is driving on the right-hand side of the road. Your steering wheel will be positioned on the left, an unfamiliar arrangement for many Australians. Overtake other vehicles to their left, and always use your indicators. In America, right hand turns are permitted at red lights unless signs indicate otherwise. New York City is a notable exception to this rule, so it is a good idea to check the specific road rules of the state to which you are travelling, as they can be different. If you come to a set of traffic lights, and they are flashing red, you will need to treat them as a stop sign. Make sure you come to a complete stop and check for any oncoming traffic before you proceed through the intersection. If the lights are flashing yellow, this means you can slowly proceed through the intersection, but take caution. In the United States, some intersections have stop signs for all approaching traffic. You will need to slow down and come to a complete stop if you encounter an all-way stop sign. If there are no other vehicles at the intersection, you are able to proceed once you have come to a complete stop. Cars are allowed to proceed through the intersection in the same order they arrived. If you are the last vehicle to arrive at the intersection, than you will be the last to depart. If you arrive at the intersection at the same time as another vehicle, the car that is the furthest right has the right of way. If you're used to driving in Australia, undoubtedly you measure distance in kilometres. In America you will find the speed limits and distance information signs are all written in miles per hour. Be sure to keep to the speed limits or face fines. Generally, regional speed limits will not exceed 70 miles per hour (110 kilometres). 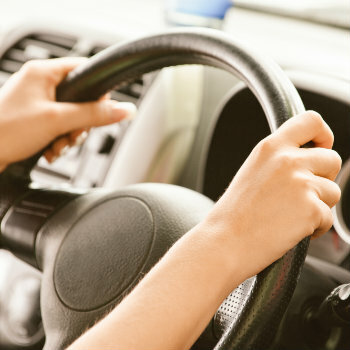 To make adjusting to driving on the opposite side of the road easier, consider hiring an automatic car so you do not need to focus on changing the gears. Be aware your indicators and windscreen wipers may also be on the opposite side. Familiarize yourself with the features of the car before you depart. Australia has its own fair share of toll roads in cities like Sydney and Melbourne, where you pay a fee to use popular roads like the M5 Motorway and the West Gate Freeway. However you will find even more toll roads in America, where major cities are scattered from the Pacific Coast to the Atlantic. 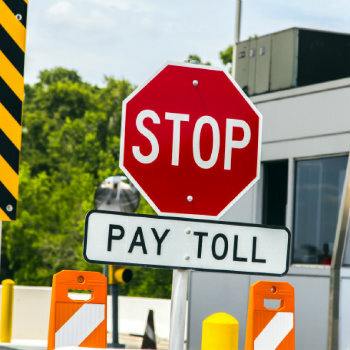 Payment methods of toll differ between cities with some roads and bridges still accepting cash payments, but others requiring electronic payments. Sometimes this can be arranged with the car rental company prior to your journey. Australian driving licences are generally acceptable in the US. However you will not be able to rent a car if you still have your learners or provisional licence. If your licence was issued in another country and is not printed in English it is a good idea to check whether you need an International Driving Permit. In some states, you are also required to present your passport when you pick up your rental car.